The Meet the Masters project is a mentoring initiative geared towards inspiring and educating herbalists on innovative ways to make a living with herbal medicine. In this ongoing series we’re asking prominent herbalists to answer the question: “How did you establish a career in Herbal Medicine?” It’s such a pleasure to share this beautiful and eloquent story from one of America’s most premier herbalists, Lesley Tierra, who graciously shares these heartening and inspiring words of wisdom on the artistry of herbal medicine, and walking the herbal path. My herbal career began when I got sick. When, well into my twenties, I came down with a severe flu while spending several months with a girlfriend in Montana. It was a particularly nasty bug that caused fever, sweats and such terrible restlessness that I couldn’t sleep. Without sleep, I couldn’t recover and so kept declining. My friend, who was exploring herbs at the time (beyond the primary herb used by most then: marijuana! ), said she had read that garlic was good for colds and flu and maybe I should try it. So I did. I proceeded to get much worse; so bad in fact, that I finally dragged myself to the doctor to get medication. It gave me nightmares, but got me sleeping again so I could recover. This first experience with herbal medicine made a big imprint on me. I quickly learned that the allopathic approach to herbs was a hit or miss method, and ever since I’ve sought to learn why the highly touted garlic didn’t work. Since I was a part of the “back-to-earth” movement, I was exploring alternative life styles and organic foods anyway, so studying healing plants was part of this path. I was now primed to learn about herbs and natural healing methods. After all, I hadn’t learned herbs from my parents other than spices. Later I heard many stories about my grandmother feeding brandy to my mom to clear her colds (it worked) and pinning balls of asafetida to her undershirt to prevent them (that worked too, although its smell scared people away!). But when I grew up, my parents were friends with, and lived next door to, a doctor and so antibiotics were quickly and repeatedly dispensed for my recurring toddler tonsillitis. This was supported by my Granny, the nurse, even though she had used the brandy and asafetida on my mom. My second experience with herbs occurred when I came down with yet another bladder infection. All the various doctors would simply prescribe more antibiotics and send me on my way. They were puzzled why I had such frequent bouts, but could not find a cause. Finally, certain that western medicine had no more to offer, I turned to herbs and never looked back. I had already left a career in big business, moved to Jackson Hole to explore a small photographic business, and lived with my friend in Montana while I decided on my next career path. Around this time, I decided to attend a weekend polarity workshop in Santa Cruz, where I heard about Heartwood College (situated in Santa Cruz at that time), and decided to enroll to obtain a Wholistic Health Practitioner degree, which I planned to take back to live and work in Jackson. I never made it back to Jackson. When I walked into my herb class, I saw my teacher and immediately knew him, although we had never met. His first herb book was not even published yet, and we met as I began to type up the beginning lessons of his herbal correspondence course. Mind you this is on the old typewriters with carbon copies; not the easily spell-checked and corrected computer versions today! There were no other correspondence courses at the time, and eventually the course developed into our East West School of Planetary Herbology with thousands of students around the world. Ultimately, Michael became my husband and greatest herb teacher. It was Michael who first opened my eyes to herbal energetics, and I finally understood why the cure-all garlic had not healed my flu but had made it worse (garlic is a hot-energied herb and my flu had symptoms of heat – fever, sweating and restlessness; instead, I needed a cooling herb such as peppermint, lemon balm or elder). Traditional Chinese Medicine (TCM) further expanded my understanding of herbal energetics in treating conditions of deficiency and excess, where herbs are matched to a person’s strength. Weakness (deficiency) needs herbs that build while those with excess (stagnation or too much heat for instance) need herbs that circulate or clear (in this case, clear heat). From my original failed garlic imprint, I was now a staunch supporter of herbal energetics. I eventually completed my Heartwood training, but instead of moving to Jackson, I got married, had our son, and opened my own practice. I began as a Shiatsu practitioner, doing bodywork and prescribing herbs. Since I was already using acupuncture points as well as tongue and pulse diagnosis, this eventually evolved into obtaining an acupuncture license and practicing Chinese medicine. In my early days of studying and practicing, I also attended classes with Ayurvedic herbalists, as well as Western and Chinese. Ayurveda was fairly new to the US, and as I lived near Mt. Madonna, one of the first places to bring Ayurveda teachings to the US. I was fortunate to study there. I then studied the early herbals, such as Jeanne Rose’s, Herbs & Things and Jeanne Parvati’s, Hygieia: A Woman’s Herbal. As well I attended herbal trainings and some of my favorites took place at the 80’s herbal retreats in Mendocino, California and at Brientenbush in Northern Oregon, hosted by the ever gracious Rosemary Gladstar. These gatherings were rich with classes and opportunities to meet major herbalists and learn from them. Even more, they were fun, adventurous and full of new friends and connections. My third teacher came into being then – my son. As he grew, I quickly learned to create a first aid it and carry it everywhere (I was never without my homemade comfrey salve or echinacea tincture). When our son came down with chicken pox during our first teaching trip to the U.K., I learned about calendula and applied it to every pox. The itching stopped and the chicken pox quickly disappeared! Another time our son had recurring fevers for eight months as his immune system reset itself. I learned every trick in the book for lowering fevers, finding what worked and what didn’t. More experiences followed that taught me much about herbs. Once I had severe and debilitating menstrual cramps for hours and the tincture of salvia (S. miltiorrhizae: dan shen or red sage root) relieved it within minutes. Another time I cut my finger to the bone and when cayenne didn’t work, I used moxa ashes (burnt dried and aged mugwort), which stopped the bleeding within seconds. Then one night Michael and I were dancing at a party and a woman dancing too close stomped on my shoeless foot with her spike heel. The pain was excruciating and as I immediately sat down, the bruising and selling were already evident. Michael climbed a nearby tree, plucked its leaves and poulticed the wound. Within hours the swelling and bruising disappeared. Rather than limp around on a sore foot for a week, the healing power of herbs got me “back on my feet” within hours! Soon I began to teach, first at Heartwood College and then at Five Branches Acupuncture College when it first opened. I next taught at the early Northern California women’s symposiums, Brientencush and from there, many gatherings throughout the country. Michael’s and my East West School of Planetary Herbalism expanded and for ten years (from the late 80’s – 90’s) we taught in the U.K. as well. I began to write and my first book, Herbs of Life (published in 1992), was soon followed by three others, and a two-volume set co-authored with Michael. My herbal “opus” was a revision of the original Herbs of Life, retitled over ten years later as Healing With the Herbs of Life where I included 120 pages on treating specific conditions. Yet, one of my favorite books is A Kids Herb Book, not just because it is so creative and project-oriented but also because it helps birth our next generation of herbalists into the magic and power of healing plants. As you can tell, I developed my herbal career bit by bit by following my own path. I learned most through experience, herbal energetics and studying with different teachers. The East West School of Planetary Herbology teaches many of these facets, and is the most comprehensive and oldest herbal correspondence available, with thousands of students around the world. The school includes hands-on seminars, webinars, and a mentoring program. Herbs have been an incredible blessing to my life and I use them every day in many different ways. I have personally experienced, and seen with others how herbs have helped heal when nothing else would work. They truly are gifted medicines from the earth. Learn Herbal Energetics: It doesn’t matter if you use Western, Chinese, Ayurvedic, or herbs from other cultures or countries, if you know whether an herb is healing or cooling, moistening or drying, building or clearing energies, then you can best match it to each person’s individual needs and health conditions. This makes treatment much more efficient as well as effective. There are several herbals available that give the energetics of herbs, making learning or referencing this information relatively easy. 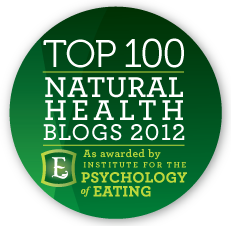 You don’t need your own “garlic experience” to understand why herbal energetics are important. Try your own experiment by tasting some fresh ginger and noting how it affects you, and then tasting a little dry ginger and observing how you feel. You’ll quickly learn how the same herb in two different forms has very different energetics and effects. 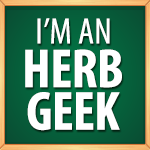 Experience and Experiment: I found that the best way to learn about herbs is to use them. Explore. Make your own remedies and experiment with them. Try remedies on yourself, friends, and family. Create first aid traveling kits and use them. Listen to what works for others, and check it out yourself. Treat yourself; use your own health issues as an opportunity to try your remedies and experiment with new herbs. Cook with herbs and observe their actions in your body. Use herbs in many different ways – in your bath or ear drops for instance – as well as teas. Experience is the greatest teacher. It quickly teaches you what works and what doesn’t. We learn by doing, so jump on in – the herbal waters are just fine! Become a Sponge: Learn from everyone and everything – plants, books, experts, friends, and clients alike. Study with many different teachers. Go to different practitioners to address your own issues, and to learn how they work. Ask questions. Take classes, courses, seminars, and webinars. You may even hear herbal news on TV, radio, or online. Check it out and learn from it. Start with ten basic plants and get to know them like friends. Then expand out and learn ten more. Put your hands in the soil and learn directly from the plants themselves. Study books and use your intuition. The possibilities are endless. Follow Your Own Path: Lastly, find your own herbal path. What interests you? What are your passions? There are many different approaches to using herbs such as wildcrafting, growing, practicing, products, sales, conservation and preservation, quality control, education, marketing, research, teaching, writing, herb walks, remedies and preparations, and cooking. Explore the areas that most appeal to you or create your own mix. This is one of the great attractions of herbs – there is so much to learn; so many different possibilities and avenues to discover, that I can study my whole life and never get bored, never be done. There is always more to learn. And herbalism is not just a science; it’s also an art. The art of herbalism is the most important part for me because this is where experience is developed – through the application of knowledge – and thus this artistry is the spring from which wisdom blooms. It is also where time and practice come in, which is only accomplished by doing. I guess that’s why working as a medical practitioner is called “practicing” medicine – it’s about constantly exploring, applying what you’ve studied and learning from your mistakes and successes in an ongoing, even life-long process. Lesley Tierra, L. Ac., R. H. AHG, is a nationally and California State licensed acupuncturist and herbalist who combines acupuncture with herbal, food and inner growth therapies in her private practice. 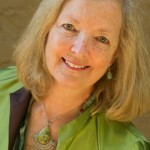 A professional and Advisory Board member of the American Herbalists Guild, she has studied and used ancient mystical, spiritual and shamanic methods along with modern psychotherapeutic techniques for over forty years and co-led women on vision quests for five years. with Michael Tierra (Lotus Press, 1998). She collaborated with Michael Tierra to produce the East West Herb Course and has taught at various places throughout the United States and England since 1983. 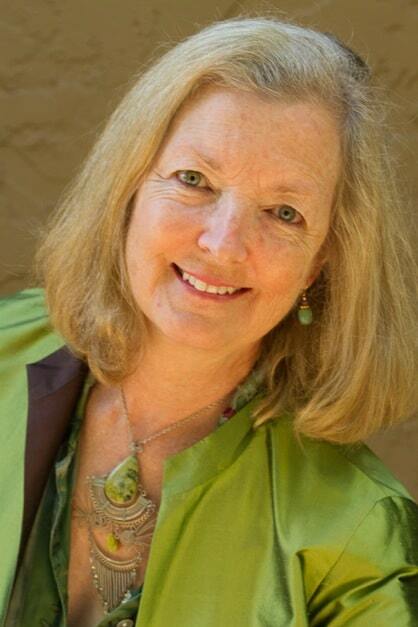 Lesley currently offers distance consultations and classes (831-429-8066). among others. I recently discovered Lesley’s book A Kid’s Herb Book. I would love to Ms. Tierra on my show to discuss herbs families can use at home. I’d be honored to have Ms. Lesley Tierra on my half hour show. The telephone interview would be approximately 25 minutes.